Tourists and local visitors to archaeological sites in Belize will soon benefit from new health and safety policies to be undertaken in Belize in an effort to implement the recently created Health and Safety Standards for archaeological sites. The Health and Safety Standards policy is now mandatory after being signed into law by the Minister of Trade and Industry, Investment and Consumer Protection on May 27, 2014 and gazetted on May 31, 2014. 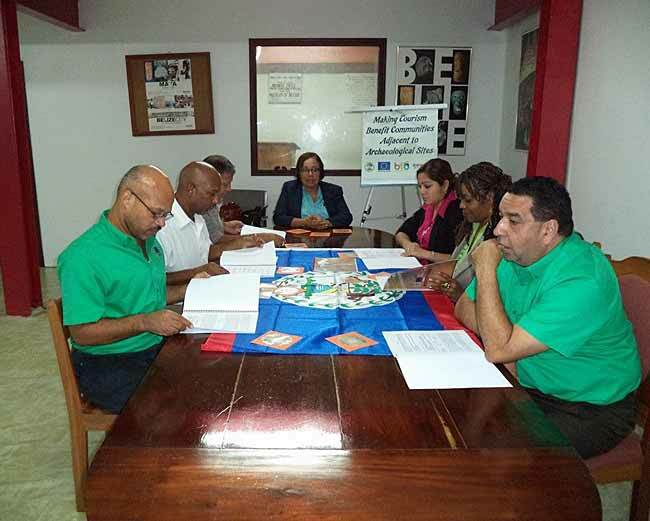 The Health and Safety Policy Manual was officially handed over to the Belize Tourism Board and the National Institute of Culture and History on Tuesday, September 2, 2014 at the Institute of Archaeology’s office in Belmopan. The policy manual was developed as part of the objectives of the Making Tourism Benefit Communities Adjacent to Archaeological Sites (MTBCAAS) project, funded by the European Union and the Government of Belize and implemented by the Belize Tourism Board and the National Institute of Culture and History. Both the newly created Health and Safety Standards and the Health and Safety Policy Manual were created to ensure that visitors to our archaeological sites have a safe and enjoyable experience at these sites. The implementation of the newly created standards and policies will also ensure that future infrastructural and maintenance measurements, as well as the services provide the minimum requirements for health and safety at archaeological reserves, and will provide guidance to individuals and enterprises, including community-based and tourism organisations, when visiting archaeological reserves in Belize. After the handing over of the Health and Safety Policy Manual to the Belize Tourism Board and the National Institute of Culture and History, a nationwide sensitization process with Park Rangers, Tour Guides and Tour Operators will then be undertaken to ensure that all stakeholders are fully aware of the new health and safety policies before the upcoming tourist season. 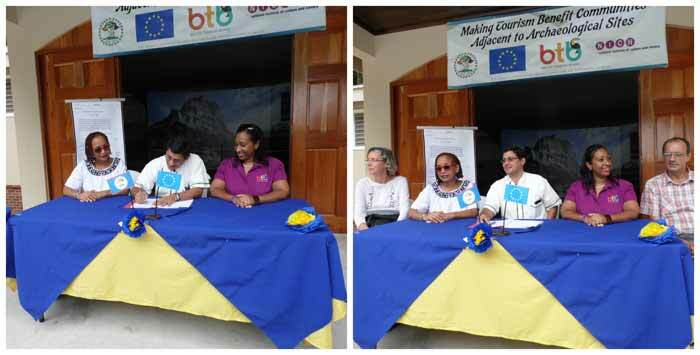 The MTBCAAS Project was launched in March 2013 and is made possible with grant funding of BZ$2.75m from the European Union and the Government of Belize under the Belize Rural Development Programme II (BRDP) and BZ$1.25 contribution from the Belize Tourism Board and, the National Institute of Culture and History for a total estimated cost of BZ$4 million. It is being implemented over 24 month period and scheduled to be completed in November 2014.